Vallejo is not a person. Vallejo is not a publicly traded company. Vallejo is a city located in the northern half of California. And Vallejo, located in the western part of Solano County, is planning on filing for bankruptcy. According to their 2000 census, Vallejo had a population of 125,900. The city was founded in 1851 and was incorporated in 1867. Vallejo is home to the Six Flags Discovery Kingdom theme park, the California Maritime academy and Touro University. 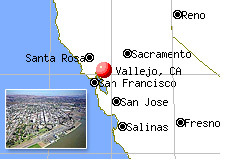 Vallejo is significant enough of a city that it actually served as the capital of California, twice in the mid 1800's. As of 2000, Vallejo had 39,601 households and 28,235 families living in the city. And did I mention that Vallejo is now planning on filing for bankruptcy, because its city council says that the city is now broke and will run out of money by June 30th? Entire cities don't file for bankruptcy very often. If they do, it is normally because of some extraordinary circumstances, such as the city losing a major lawsuit or a city's Treasurer losing billions of the cities' money on bad derivative bets (see Orange County in 1994). Vallejo is a different situation altogether. According to its city officials, Vallejo has run out of money due to skyrocketing labor costs (mostly firefighters and police officers) and plummeting home values. Costs are going up and revenues, mostly in the form of retail taxes and property taxes, are dropping. Vallejo's major problem stems from rising pay for its policemen and firefighters. Current contracts call for minimum staffing requirements, and if the city isn't able to meet those requirements due to budget issues, then overtime must be paid to those already on staff. According to Bloomberg, this has led to police and firefighting salaries, pension and overtime taking up almost 70-75% of Vallejo's general budget. This is markedly higher than most other Californian cities pay for the same services. Services are eroding; police officers will no longer respond to investigate property crimes. The City is hamstrung in this regard; it tried to cut the number of firefighters that it employed, but an arbitrator later ruled that it couldn't because it had to maintain a certain level of firefighters for "public safety". Vallejo officials have attempted to extract pay cuts from labor officials representing police and firefighters, but the unions haven't budged much. This has led Vallejo to take the extraordinary step of saying that they will file for bankruptcy. If the city does decide to step in this direction, then a federal judge must decide if the city is indeed going bankrupt. If this is established, then a judge can order certain cuts to the city's budget. Representatives from the police and fire departments in Vallejo contend that they have deferred raises and agreed to certain salary cuts, but city officials contend that these aren't nearly enough. The problem with a bankruptcy is that it will be extremely difficult to lure new residents to the city. Who wants to open a business or buy a home in a city that is insolvent? Other alternatives to bankruptcy include dramatically raising taxes, dramatically cutting back on other services or simply hoping that the union officials eventually agree to dramatic salary cuts. Vallejo has been in a downwards spiral since 1996, when the US Navy decided to close a major shipyard in the city to cut expenses. Property values rose in the city from 2000-2005, but this was the result of a general rise in property values throughout the state of California. Now that real estate values in the state have started to drop, Vallejo has been hit particularly hard - according to independent research firm DataQuick Information Systems, Vallejo property values dropped 26% from March 2007 to March of 2008. There are thousands of homes in the city that are either in foreclosure or on the brink of foreclosure. Property taxes are down. Local businesses are suffering or completely shuttered, which results in lower retail taxes. According to published reports, sales tax revenue is off 10% in the past two years. Property transfer taxes are down an alarming 56%, which represents nearly $3.5 million in lost dollars to the annual budget. Walmart decided to close up shop in the city, which was a crippling double blow considering the amount of retail taxes that the store generated and the number of people that it employed. Walmart at one time was planning on building a superstore in Vallejo; now it has no presence whatsoever. Many residents blame the city's woes on the city's firefighters, and it's not hard to see why. Vallejo's base salary for its firefighters is $80,000 a year, with a full 21 Vallejo firefighters making a whopping $200,000+ in "salary and overtime" in 2007. The city's credit rating is falling due to its financial problems, and that requires it to pay more for interest on its loans. According to a public database, a full 292 Vallejo city officials made a salary of more than $100k in 2007. Joann West from the "Police Department" made $435k. Ivano Paoli of the "Fire Department" made $350k (I am assuming that these are the chief's of each department). Joseph Tanner, City Manager of Vallejo, earned a total of $316k in 2007. There is much blame to go around. Many contend that the city failed to re-invent itself after the shipyard left in 1996. Others blame most of the problems on overpaid city officials. Some blame bickering city officials who couldn't agree on a plan for Walmart's superstore, which led to the company leaving the city. Others blame an overall weak real estate market. 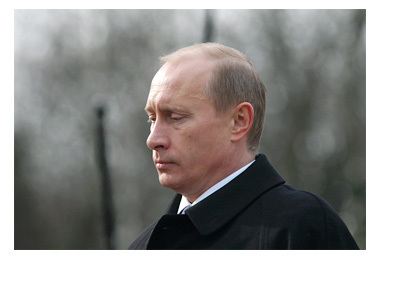 It will be interesting to keep an eye on this story as it develops. Will the city be forced to fall into bankruptcy? How will they be able to reinvigorate their city? Will they finally re-invent themselves?